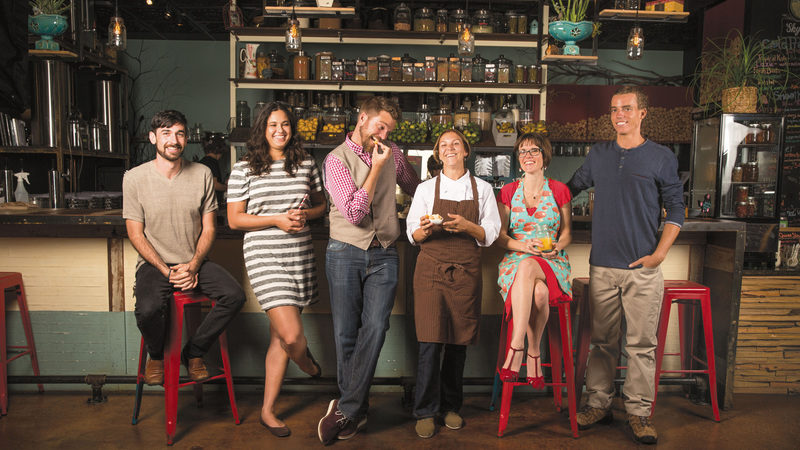 The notion of eating local isn’t new; there used to be no other option. People ate what was available, either from their own gardens or from a nearby farm. The idea of a fresh strawberry in winter was absurd. As consumers become more concerned about the integrity of the food they eat and the impact its production has on the environment, local food growers and the people who support them are more in demand. And all along this alternative supply chain, you can find UCF alumni fostering change. 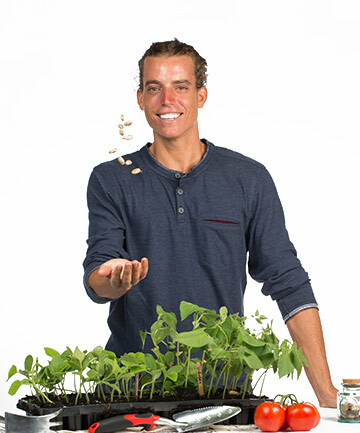 For Jonathan Winfrey, ’10, a seed is not just a seed — it has a history. Winfrey is the owner and operator of Organic Sanctuary, a farm in Geneva, Florida, which specializes in heirloom seeds. On a restaurant menu, the term “heirloom” is often associated with tomatoes or other produce, but it doesn’t mean that it has been in the chef ’s family for generations. It signifies that the produce has been grown from seeds with an organic heritage. Though there isn’t a standard definition for heirloom, “I would say … it’s been bred true to parent variety for at least a hundred years,” says Winfrey, who majored in environmental science. Winfrey’s business resembles less a commercial farm than a house with several large garden plots. There are carambola and Key lime trees, sunflowers, tomato plants and Seminole pumpkins that were a staple of the Native Americans who once lived in the area. He eats some of what he grows in his “food forest,” but the real value is the bounty of seeds that he carefully harvests from each plant. “It can take up to several weeks to get a good seed ready,” he says. Each must go through a drying process that requires daily attention. When they’re ready, the seeds are packaged by hand and sold through the Organic Sanctuary website or in specialty stores. 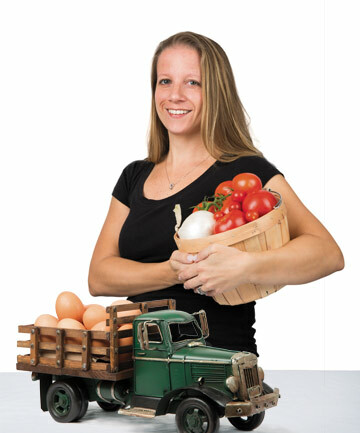 As a distributor, Rebecca Reis-Miller, ’06, helped restaurants interested in serving fresh, local ingredients find the people who grow them. 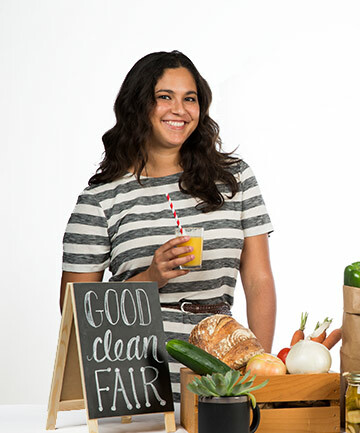 Reis-Miller, who has a bachelor’s degree in political science and a master’s degree in public administration, helped lead Slow Food Orlando, a grassroots organization chapter that promotes environmentally friendly food production. With her co-leader Trish Strawn, she created Growing Synergy, a food distribution company in Central Florida that works with local farmers and artisans. Reis-Miller recently left Growing Synergy and has joined her husband, Charles Miller, ’03, in his business, Lake Nona Deli and Market. She continues to advocate for local food purveyors, including Growing Synergy, and offers locally produced goods that include bread, coffee, produce and eggs. 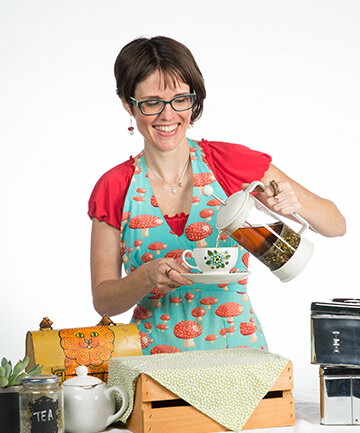 When Dandelion Communitea Cafe opened as a counter-service establishment in Orlando’s Mills 50 district, owner Julie Norris, ’01, worried about the long lines of people waiting to order her vegan and vegetarian dishes. She converted to full service with staffers taking tableside orders. “It was the worst thing we ever did, because I didn’t realize how much actual community engagement happened in that line.” As a result, she switched back to counter service. For Norris, food fosters connection. “I like to talk about our relationships with our food,” she says. “Do I know the person that’s making this, growing this, repackaging it?” Norris feels it’s important for her to have firsthand knowledge that her providers are following best practices, so even if their products aren’t certified as organic, she’s certain that they’re of equal integrity. In 2009 Lothrop offered to assist a friend who was starting a community market in Orlando’s Audubon Park neighborhood. “She said, ‘Great, you can be the director,’ ” Lothrop says with a laugh. “We opened with about five vendors, and it was kind of a sad little operation.” Thanks to her leadership, the market flourished and currently hosts more than 30 vendors. Lothrop has since become the managing director of East End Market in Orlando. Lothrop, who graduated with a degree in political science, was recently named a regional governor for Slow Food USA, whose mission is “good, clean and fair food for all.” That relationship began when she heard about the Orlando chapter and sought them out for guidance — and connections to local farmers. Now she’s working with other chapters to find unified projects that meet Slow Food USA’s mission, while promoting the pleasures of enjoying delicious food. John Rife, ’10, was born into a real estate family — one that developed, among other projects, The Mall at Millenia in Orlando. In college, he was intent on going into film. Both of those fields led him to where he is today as the owner of Orlando’s East End Market, a nexus of artisan food purveyors, a restaurant and an urban garden. Rife went on to use his knowledge of real estate development, remodeling a former church in Orlando to create East End Market. The two-story building houses local merchants selling items such as artisanal cheeses, produce, sauces, breads and organic juices; a demonstration kitchen; meeting spaces and a full-service restaurant. And in keeping with Rife’s vision, the entrance to the market is landscaped with a large garden, where produce is grown for use by market tenants. 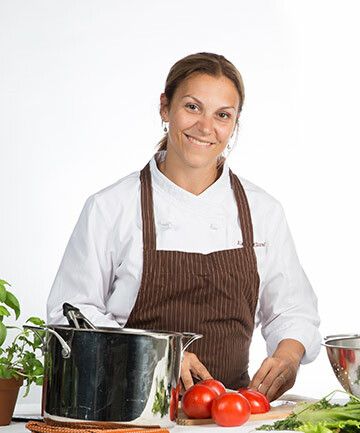 Alexia Gawlak, ’05, traces her interest in local food sourcing to a chef at culinary school who, in her words, “was a little nuts.” Subscribing to conspiracy theories, the chef was so particular about edibility that “he even made his own cat food,” says Gawlak, who graduated from the Rosen College of Hospitality Management with a B.S. in restaurant and foodservice management. 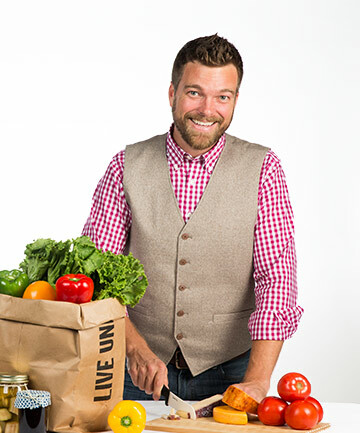 Alex Stringfellow, ’12, wants unused foods — peels, rinds and leftovers — to convert into organic compost for farmers and gardeners to use to repeat the growing cycle. Stringfellow, who has a B.S. in psychology, became interested in composting while managing the edible garden at the UCF Arboretum. “There’s a whole facet of ecological value of being able to take food from when it’s grown and use it as a resource for our own energy, and then reuse it,” he says. 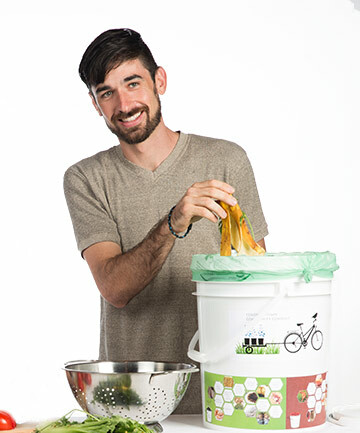 The initiative, Compost Orlando, which he developed with Kathleen Shannon, ’05, has begun as a residential program but will eventually expand to include restaurants. The Fresh Market and Publix grocery store chains have donated food-grade buckets for reuse as compost bins. For a monthly fee, participants leave their scrap-filled bins out for pickup by the composters, who use bicycles with trailers to retrieve them, minimizing the company’s carbon footprint. Currently, the team is serving the Audubon Park, Baldwin Park and Colonialtown neighborhoods in Orlando. They also provide opportunities for customers to drop off their food waste at several locations in the same areas. But no matter how the raw materials come to them, it all ends up in the same place. Since 2009, the UCF Arboretum has been supplying free fresh produce to students through the Knights Helping Knights Pantry, a campus resource that provides food, toiletries and other necessities to those in need. Seasonal fruits, vegetables and herbs from the arboretum’s volunteer-run organic community garden are donated twice a week to the pantry, which offers up to five food items per day to students.